- Publisher Who wouldn't want to be an all-around better preacher? Here are vital tips and ideas written in a light and humorous way by a seasoned, successful preacher. Great for new pastors, seminary students, or any pastor who is feeling overwhelmed. A practical primer! Who wouldn't want to be an all-around better preacher? 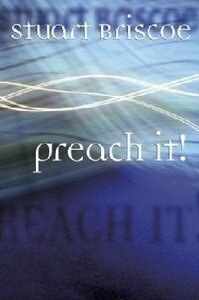 Here are vital tips and ideas written in a light and humorous way by a seasoned, successful preacher. Great for new pastors, seminary students, or any pastor who is feeling overwhelmed. A practical primer! In 1970, Elmbrook Church in Brookfield, WI, U.S.A. asked Stuart Briscoe to become pastor. The church has since grown to a weekly attendance in excess of 7,000 and has planted eight sister churches in the Milwaukee area. Elmbrook's TV and radio ministries,Telling the Truth, featuring Stuart and Jill are broadcast widely--while his extensive video and audio tapes and more then 40 books extend his ministry. After 30 years as Senior Pastor at Elmbrook Church, Stuart stepped down. He and Jill have assumed the roles of Ministers-at-Large on Elmbrook's church staff.